Enroll today to start offering 6 months promotional financing to your customers. Simply visit SYFenroll.com and have your tax ID and bank information ready. (code: MTD1) • Millions of cardholders* • Promotional financing, broad acceptance & special offers drive loyalty • 60% repeat purchase rate* • No interest if paid in full within 6 or 12 months** • Everyday promotional financing on purchases of $199 or more • No application fees • No early payoff fees • Cardholders provided with an Open-End Line of Credit • Promotes repeat purchases • One of the nation's premier consumer financial services companies • 85+ years of history – built one customer at a time * Synchrony Car Care program actuals as of April 2018 ** Subject to credit approval. Minimum monthly payments required. PAYOFF CALCULATIONS $1,427.39 $1,427.39 $237.90† $266.90 6 12 $1,427.39 $3,202.80 Actual Transaction Example: † Monthly payment shown is higher than what is required but will allow a cardholder to pay off the purchase within the promotional period. †† Sample of an actual transaction with a 188% effective APR from a No Credit Required Lender. Not all purchases will be subject to these exact terms. 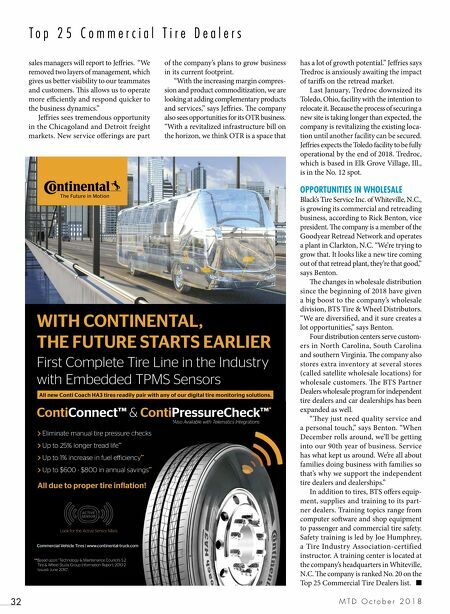 Offer your customers the right product for their needs with Synchrony Car Care. 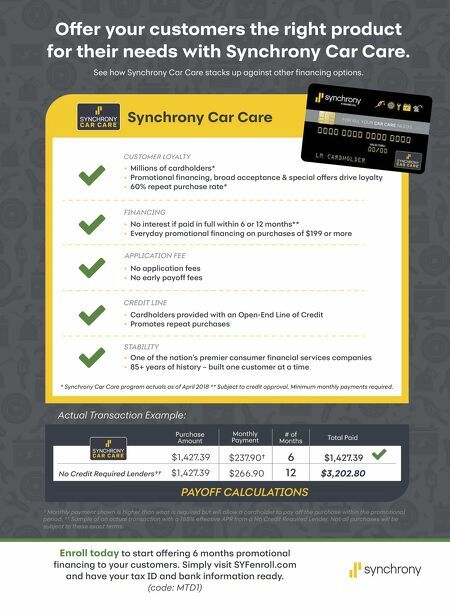 See how Synchrony Car Care stacks up against other financing options.